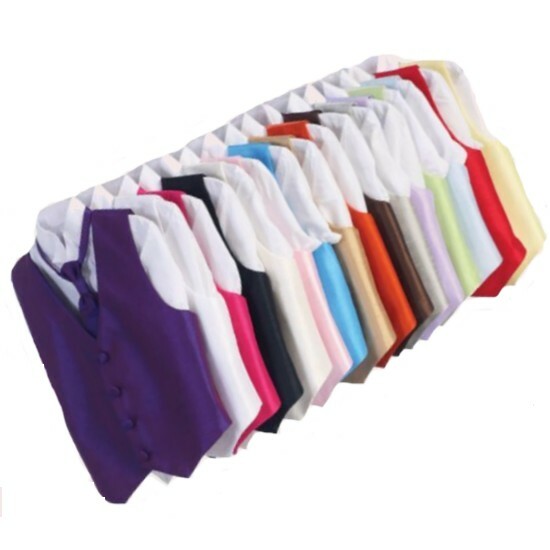 DapperLads - **Sale** Boy's Poly-Silk Vest & Long Tie Combo - English & Full Dress Vests - English vests with ruche ties. Rugged Butts formal vests, argyle golf sweater vests with argyle knee socks. These vests are made in the USA by Lito. The vest fronts are a beautiful softly textured poly-silk and the backs are color matching polyester. They come with matching full length ties. These vests can be hand-washed and hung to dry.